1. 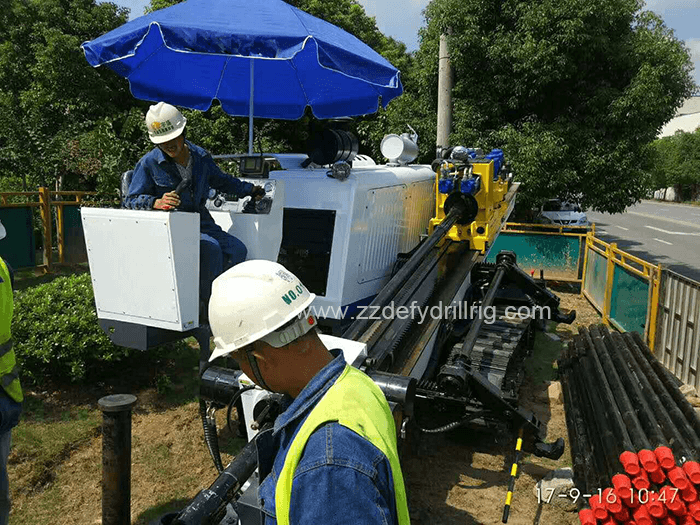 DFHD-35 HDD rig is in comfortable operation with advanced control technology for the hydraulic and electric system, adopting wired remote control method. 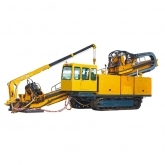 The main components of the drilling rig are adopted well-known brands home and abroad. 3. The rotation of drill head is driven with four low speed hydraulic motors, in large torque, set with 2 gear stepless speed adjustment. 9. With robotic hand in option, it is easy for rod loading and unloading an in higher efficiency; thus the operator's physical strength are largely decreased.